Why is it that Woody Allen seems so untouchable? And why are people constantly talking about his work and not his identity and the very real sins he has committed? 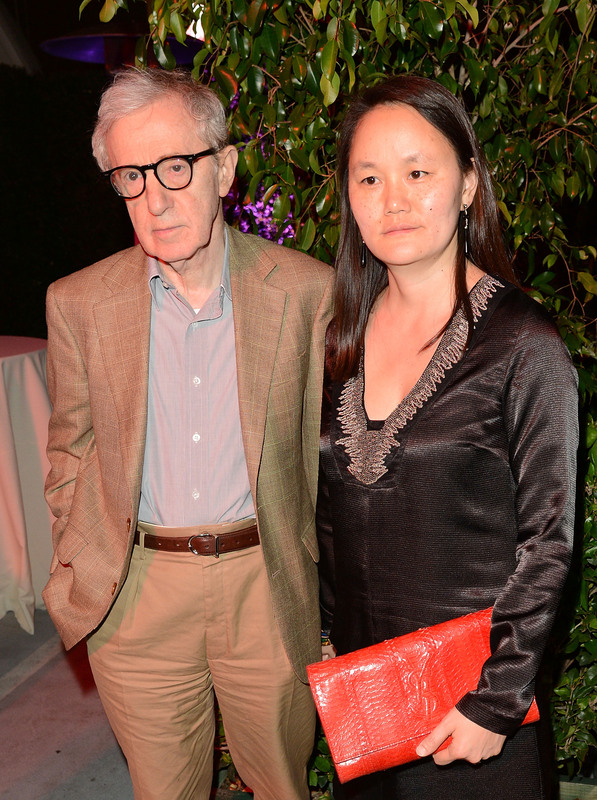 Many people, the Hollywood Foreign Press included, choose to focus on Allen's artistic value and I concede, his body of work merits it, but I feel like I'm talking to a brick wall about how he married his adopted stepdaughter, Soon-Yi Previn, in 1992, when Allen was 56 and Soon-Yi was 21. It was an uncomfortable, real-world realization of his films, where Allen or men who are thinly-veiled stand-ins for him are paired with women much, much younger. He's also been accused of sexually assaulting step-daughter Dylan Farrow when she was 7, yet, three cheers for this guy! Though it is well-known now that Allen does not attend awards shows, the fact that Emma Stone introduced him Sunday night as the recipient of the Cecil B. DeMille Lifetime Achievement Award, and that Diane Keaton accepted it, both with elevated reverence of Allen, seemed more than a little gauche, especially with the concurrent tweets from Allen's former wife Mia Farrow and her son Ronan Farrow, in which they call attention to the fact that despite his art, he's also an alleged child molester. I agree with Daniel D'Addario at Salon when he says Diane Keaton's speech felt like a call to arms for Woody Allen apologists (and dedicating a GIRL SCOUTS song to him was so twisted). Keaton lost a little bit of my respect for that, but, still, that doesn't mean I don't love the way she wears trousers in Annie Hall. The worst of it for me is an artistic and personal conflict: despite how much I loathe Allen as a man (a lot), I love the female characters that he writes and the actresses who play them. I deign to support an artist who I am so diametrically opposed to morally, and I don't believe that making good art is an excuse for being an intrinsically Bad Person, but in the case of Woody Allen, I also do not want to take away from the actresses in his films the cultural value of their outstanding performances. I want to wholly reject Allen in solidarity with Farrow, because she has faced such vile contempt already for her criticism (the victim blaming is strong in this one). But I do not want to reject the work or the performances by such amazing women as Diane Keaton in Annie Hall, Meryl Streep and Mariel Hemingway in Manhattan, Penelope Cruz in Vicky Cristina Barcelona, and of course Cate Blanchett in Blue Jasmine (for which she deservedly won a Golden Globe). In Blue Jasmine, there's a scene where Jasmine (Blanchett) has a mental breakdown on the street that just overtly crushed me. I thought about it for days; it was the closest on-screen realization I've ever seen of The Yellow Wallpaper. I hate that Woody Allen wrote it but I want to watch it a million times. I love the female characters who just happen to be in Woody Allen's films, and I love the way the actresses bring those roles to life. I just wish people would credit more these incredible women and their talent instead of the man himself, who, even when he's absent (like at Sunday night's ceremony), casts an uncomfortable shadow.